YOU'LL LOVE WORKING WITH OUR TEAM. 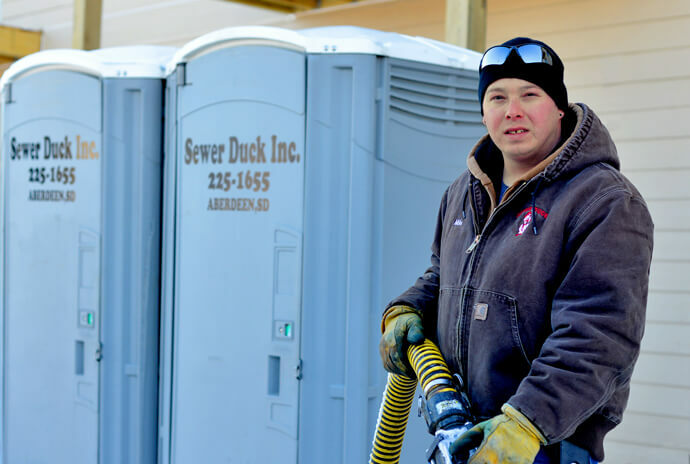 With the region’s cleanest selection of porta potties and hand-washing stations, we have your next outdoor event or construction project covered hassle-free. Resolving backups to get you back to your life. Clogged drain? 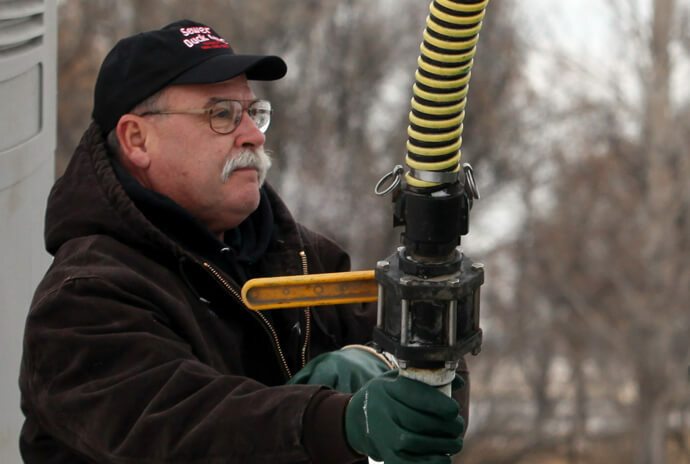 We’ll isolate the problem quickly with advanced video inspection and restore the pipe to full flow. Call us for commercial or residential backups. Fixing the problem before it becomes one. We offer residential, commercial and industrial customers with preventative cleaning and pumping. Don’t wait until it’s too late, give us a call today. Tailored to meet your needs and budget. Backups are serious. Prevent unexpected blockage and rest easy knowing your sewer and drain lines are regularly serviced. Plus we make it easy and affordable. 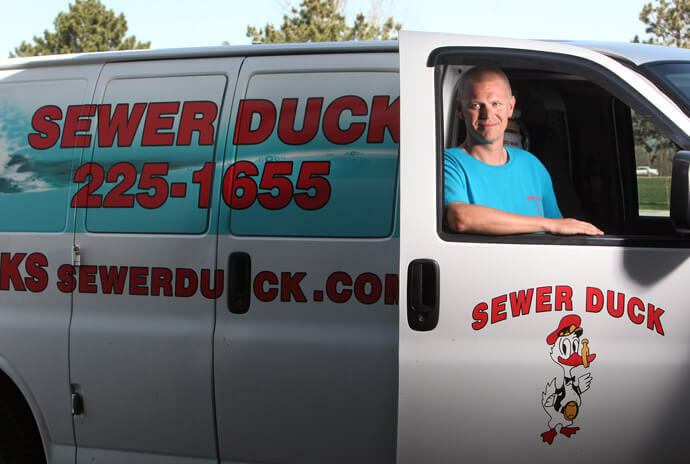 Sewer Duck – We’re the only name you need to know for a backed-up or clogged drain, main line, sink or toilet. Locally owned right here in Aberdeen, we’re your affordable and experienced drain and sewer line cleaning professionals. Day or night we’ll dispatch a technician to inspect your problem and make sure it is taken care of in the most efficient and cost-effective way. So make Sewer Duck your first call for any back up. What makes us different? 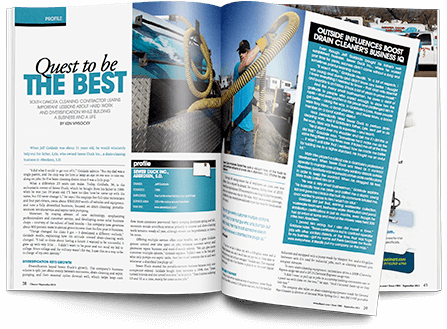 How does 24/7 emergency service, advanced inspection equipment & prompt results sound? 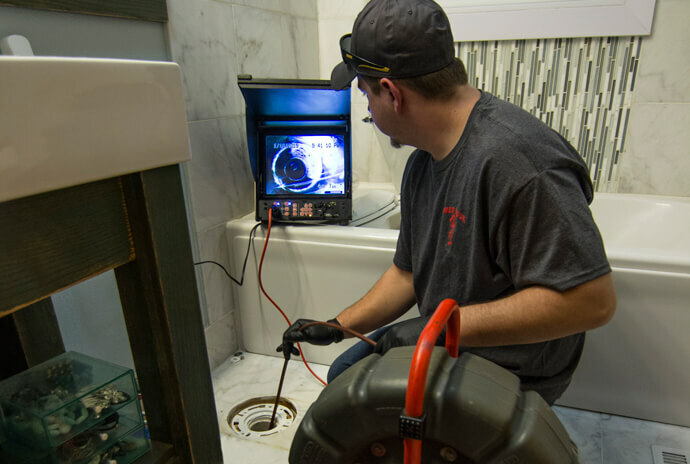 Before beginning to clean your drain or sewer line, we navigate to the root of the problem with our state-of-the-art locating equipment. This minimally-invasive inspection does no damage to the pipes, and allows for an immediate fix. 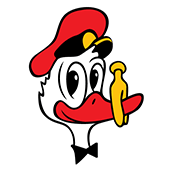 No matter the cause, Sewer Duck will fix the clogged drain the first time, saving you time and money.